Cookies are 100% certified Gluten-Free! The best and most profitable Good For You Cookie we could find. We are excited to offer a fresh fundraising concept with an amazing profit potential for your group. Ready-to-eat with a 6 month extended shelf life. No freezing, thawing, scooping, mixing or baking. No added preservatives…baked fresh for your fundraiser. Delicious, all-natural gourmet cookies made with crunchy peanut butter, Guittard semi-sweet chocolate chips, and the wholesome goodness of whole grain certified gluten-free oats. 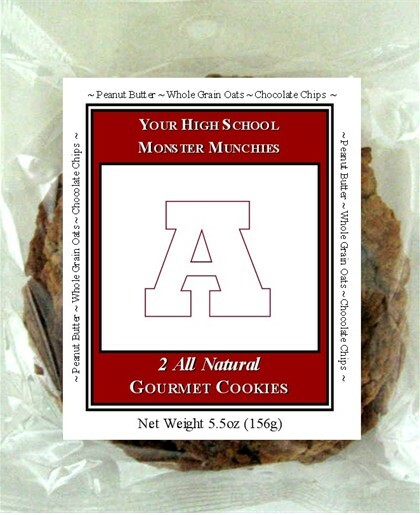 Each case comes with 8 bags filled with 6 - 2pks of cookies that sell for $20.00 each. You have the option to private label these amazing cookies specific to your school or organization. Low minimums and NO set up fee. Use your school/organization name and colors to brand your fundraiser. We work closely with each organization to determine the needs for each fundraiser. 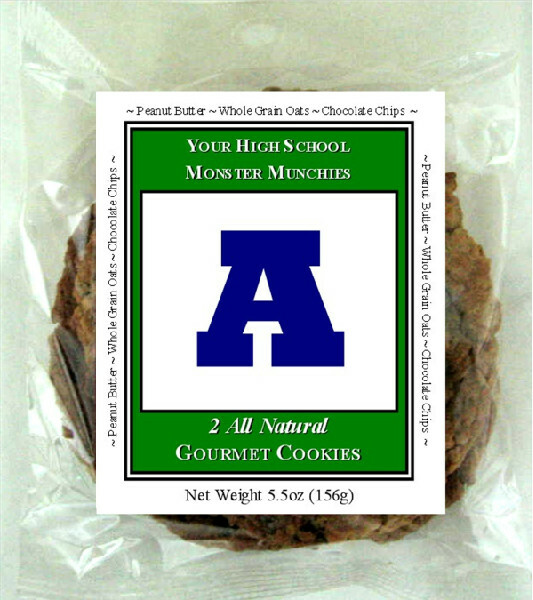 This allows us to provide an accurate inventory of cookies without the need for pre-selling. 40% Profit! Your group keeps 40% of every dollar sold! Your organization will have 30 days from receipt to sell the cookies and submit the payment. The school/organization is invoiced for the order amount less 40% so only the balance needs to be submitted. We promote Fundraising programs that are Friends & Family Focused. • Enables your group to work together as a team with their friends to reach their goals by selling at local high traffic locations such as grocery stores. The manufacturer of these gluten free cookies have been baking decoratively packaged all-natural cookies for over 30 years. 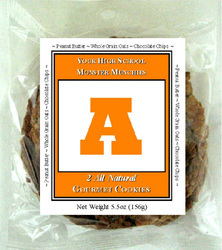 The Los Angeles Times profiled the cookie as "America's Best Chocolate Chip Cookie" while Whole Foods Market, one of their largest customers, says the cookie is ideal because it combines the best of what every cookie lover wants: all-natural peanut butter, Guittard semi-sweet chocolate chips and the wholesome goodness of whole grain oats. 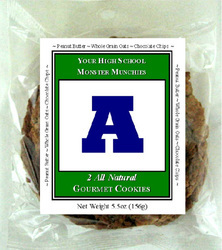 The cookie can be shipped anywhere within the continental United States. Please contact me at 614-446-2606 or email wyoalum@yahoo.com for more information.